What Do People On The Mainland Say About HOT Lanes? After two years of listening to rail supporters and HOT Lane supporters debate in Honolulu, let's listen to some Mainland voices to try and get some perspective on exactly what HOT Lanes are, how they are improving mass transit and how they are reducing traffic congestion. Here are some videos and articles from the Mainland. These articles and videos show how popular HOT Lanes are on the Mainland. 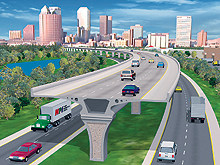 In each location, HOT Lanes provide a stress free choice for car commuters, a high-speed corridor for transit and emergency vehicles and traffic reduction for the neighboring highways. 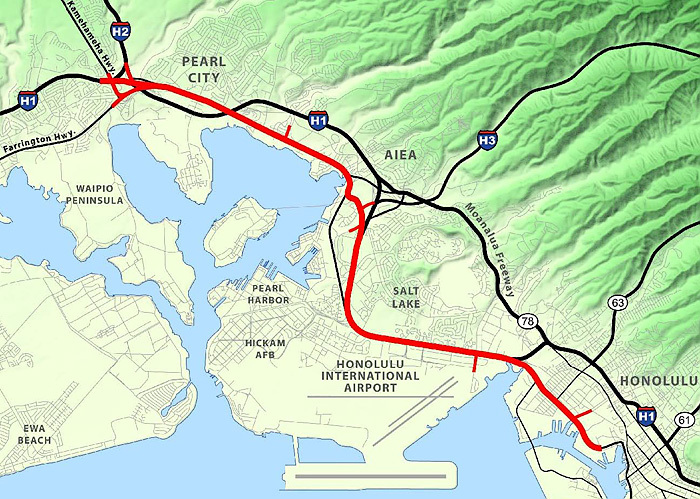 The proposed rail for Honolulu fails to provide any of the benefits above. 5 years ago. Parson Brinckerhoff was the chief consultant on the project. Video of the Minnesota - I-394 HOT Lanes. 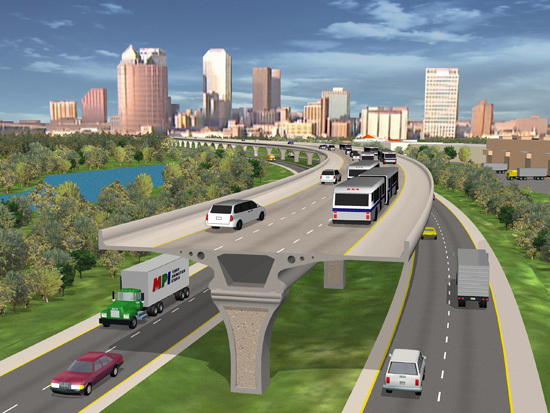 Video: The Transurban Company Video on HOT Lanes in Northern Virginia. News Article on the plan for over 1,000 miles of HOT Lanes in the San Francisco Bay area. The following images and video show the route, details of the exit/entrances, and an explanation of the link between the in-town termination of the HOT lanes and the link to the Hotel Street Transit Mall and the subsequent couplet linking to UH Manoa. The exits/entrances are reversible so that around midday when the traffic direction is reversed the exits become the entrances and vice versa. Video of the computer simulation of rush hour traffic on Nimitz at the Waiakamilo exit. The following video is a computer simulation showing how the traffic behaves at the proposed Waiakamilo exit during the morning rush hour. The following video shows a traffic simulation of the traffic at the termination of the HOT lanes just before reaching Hilo Hattie when town bound. The wider line shows the automobile and vanpool traffic; the narrower line shows the bus traffic on the elevated link to the Hotel Street Transit Mall. The rendering below shows at the left end in yellow the off ramp leading to the Mall, which at the end turns right onto Richards Street and thenn turns left onto King Street. The route then travels along King Street until University Avenue where it turns left. After stops in the University itself, the route returns down University.